Showcasing twinpower turbo engines and a stylish 3-in-1 electronically-powered top, the MINI Cooper Convertible proves that big things can come in small packages. Between its head-turning good looks and its well-appointed interior, it’s no surprise that drivers are flocking to the MINI Cooper Convertible lineup for something new. 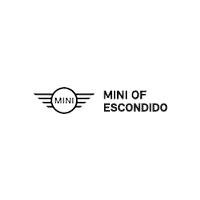 Take a look at the latest options at MINI of Escondido and find your next MINI today! Why Choose the MINI Cooper Convertible? If you want to feel the sun on your face and the wind in your hair, then the MINI Cooper Convertible will make you fall in love with driving all over again. This chic model comes in a rainbow of hues to express your sense of style, but its beauty is far from skin deep. Modern options offer engines like a turbocharged 3-cylinder or turbocharged inline-4 for a spirited performance, and the onboard features will thrill the tech-savvy driver. Plus, the latest electronically-powered top can fold flat in under 20 seconds! Check out our new vehicle special offers or apply for financing today.